As expected, Jordan Brand will release several kicks this February inspired by the “Black History Month”. Three BHM-inspired kicks are set to hit shelves, including an eye-catching colorway of the Jordan Spiz’ike. This Spike Lee kick will hit shelves today, February 9, in Volt/Black – Photo Blue colorway. The mix of Volt, Photo Blue, and Black hints is said to be a direct tribute to the Brooklyn flag. 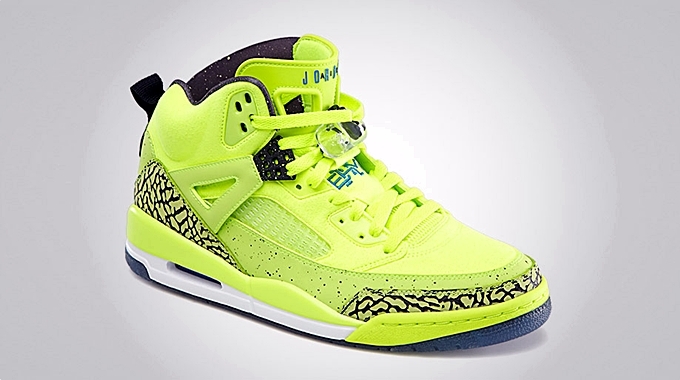 Volt hints dominates the entire shoe enhanced with black elephant prints and Photo Blue “BHM” stitching and branding. This is available on a limited basis so grab your own pair immediately once it hit shelves!